Sometimes, employers do not pay their employees the full amount that they have earned. If your employer owes you “wages” for work that you have performed, you may want to consider filing a “lien for unpaid wages” to force the employer to pay. Note: Only consider placing a “lien for unpaid wages” against your employer’s property if you believe “in good faith” that your employer owes you wages. If your dispute is frivolous or you bring the claim just to get back at your employer, a court can force you to pay the employer’s attorney fees – which will not be cheap! What is a Lien for Unpaid Wages? 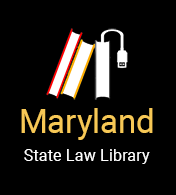 Under Maryland’s “lien for unpaid wages” law, an employee may place a lien on his or her employer’s property to secure the payment of unpaid wages. As an employee, you can place an unpaid wage lien on your employer’s real property or personal property (defined below). The lien acts as a hold on the employer’s property, preventing the employer from selling, hiding, or disposing of the property until the wages are paid, or the lien is otherwise released. As discussed more below, if an employee successfully files a lien against an employer’s property, the employee may be able to force the employer to then sell that property and use the money from the sale to pay the employee the owed wages. Read the Law: MD Code, Lab. & Employment § 3-1101 and § 3-1105.
Who is considered an employer under this law? The law’s definition of “employer” is broad. That means, depending on the situation, an “employer” can be a business or an individual within the business (such as a supervisor). An “employer” can also include multiple businesses and/or multiple individuals. But, if you file a lien against multiple people or multiple businesses, you must separately identify each person and each business in the lien, and serve everyone involved (more on filing below). Read the law: MD Code, Lab. & Employment § 3-1101. What kinds of property can an employee place a lien on? An employee can place a lien on his or her employer’s real property or personal property. Real property is unmovable property such as a house, building, or land. Personal property is property that is moveable, such as vehicles, equipment, furniture, instruments, or collectibles. Read the law: MD Code, Lab. & Employment § 3-1105. How do I file a lien for unpaid wages against my employer? An employee (current or former) must first serve his or her employer with a “Notice to Employer of Intent to Claim Lien for Unpaid Wages,” which can be found here. Read the law: MD Rules, Rule 15-1402. The notice must be served within three years of the date the wages were due. Read the law: MD Code, Lab. & Employment § 3-1102 and MD Code, Courts and Judicial Proceedings, § 5-101. The notice must be served by personal service, i.e. by in person delivery or by certified mail, restricted delivery. See Frequently Asked Questions About Service. The employee should place the notice and the proof of service in a place for safe keeping. After service, the employer has 30 days to dispute the claim by filing a complaint in the circuit court for the county where property of an employer is located. Read the law: MD Code, Lab. & Employment § 3-1103. Note: The employee should keep track of the 30-day period and keep an eye out for a possible complaint because it affects if the lien is established (see below). If the employer does not file a complaint with 30 days after receiving the employee’s “Notice to Employer of Intent to Claim Lien for Unpaid Wages,” then the lien is established. Read the law: MD Rules, Rule 15-1403(h). If the employer files a complaint, then the lien must be established through a court order. The employee must prove to the Court that the wages are owed in order to get the lien. The employee should consider responding to the employer’s complaint. Employees have ten days to file a response. Employees may want to consider attaching a sworn statement (affidavit) describing the work performed and wages owed, their personal knowledge of the facts, and any proof that wages are owed. Either the employee and/or the employer can request a hearing, but there is no guarantee that the court will hold a hearing. The court has 45 days from the date the employer filed a complaint to decide whether or not the lien will be established on the property. Read the law: MD Rules, Rule 15 1403(d) and (f). If the employer files a complaint, the employee should consider getting an attorney. After the lien is established, the employee should record the lien. The lien becomes enforceable—meaning the employee can force payment—only after the lien is recorded. All liens for unpaid wages must be recorded within 180 days after the lien is established. There may be a fee and tax to record the lien. These rates differ based on the county and the value and type of property. Read the law: MD Rules, Rule 15 1404(b). A copy of a court order establishing the lien for unpaid wages if the lien for unpaid wages is established in a court. Read the law: MD Rules, Rule 15-1404(c); MD Code, Lab. & Employment § 3-1105.
if applicable, the court order establishing the lien. Read the law: MD Rules, Rule 15-1404(d). After the lien is recorded it becomes a “secured claim” which means the employer cannot sell or dispose of the property until the employer pays the debt to the worker. If also means that the employee may be able to enforce the lien and force payment. Read the law: MD Rules, Rule 15 1404(e). I filed the lien, what now? After the lien is recorded and is a “secured claim,” the employee has a few options. The employee may either (1) wait for the employer to pay up or (2) seek to enforce the lien by forcing the employer to sell the property and pay the owed wages. If the employee chooses to enforce the lien, he or she should consider seeking the assistance of an attorney. To enforce the lien, a petition needs to be filed in a circuit court and there may be a hearing. Read the law: MD Rules, Rule 15-1406. Also, an action to enforce a lien must be brought within 12 years of the date of the lien is recorded. Read the law: MD Code, Lab. & Empl. § 3-1106.